We need to kill off some of these GOATs trampling through the internet. Not because of a surplus of actual greatness — Serena, Jordan and Brady still reign supreme. The true GOATs remain on top of the mountain, for all to see. But the title “Greatest of All Time” is being abused. Rampantly. It’s become almost irrelevant, like Maria Sharapova, Bryon Russell or the entire AFC outside of New England. Because hardly anybody seems to care what the phrase really means. To be called GOAT these days, you can merely be among the best, or popular in that moment, or a really good quarterback with one ring. Folks talk GOAT if you win the first five starts of your NFL career. There are allegedly two GOATs on the same high school football team and three GOATs in the same sport. Do we not understand the meaning of the word “greatest” — that there can be only one? This is not another tired debate over who deserves to be called the GOAT. (But LeBron James will have the title before he’s through.) Those unwinnable arguments are what caused the overpopulation in the first place. This is a plea for help, to save genuine GOATs from extinction. Let’s start with the original: Muhammad Ali. 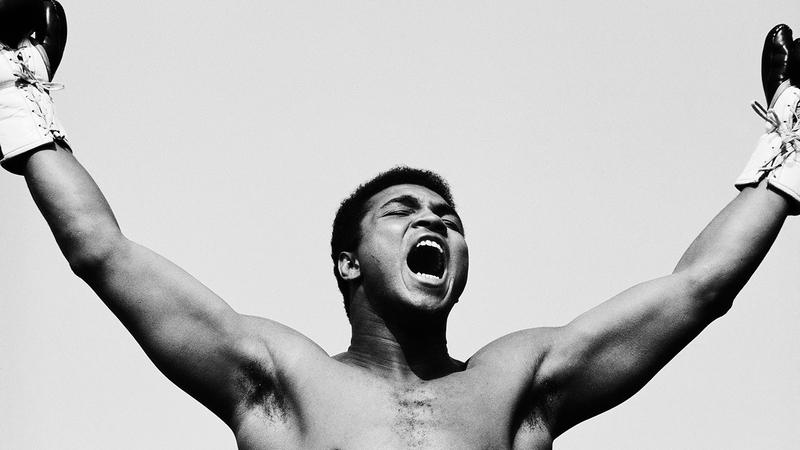 “I am the greatest!” Ali declared in 1964, at age 22. Over time, we believed. Not because he was the greatest boxer — Ali lost five fights, including several in his prime. But the combination of Ali’s talent, charisma and black advocacy changed America. He defeated not only Joe Frazier and George Foreman but also the government of the United States. In September 1992, more than a decade after his retirement, Ali’s wife incorporated a company called Greatest of All Time. In 2006, the sale of G.O.A.T. LLC earned Ali $50 million. That’s how the GOAT was born. Before that, the animal was reserved for the ultimate losers, players who made boneheaded mistakes responsible for defeat. Chalk up another American institution that Ali bent to his will — the dictionary. The real GOAT: Muhammad Ali during training for his fight with Al “Blue” Lewis held in Dublin in 1972. The ascension of Michael Jordan in the 1980s and ’90s bred GOAT discussions anew. His brilliance powered the explosion of sports television and commercialism, which gave him greater GOAT clout than past giants Kareem Abdul-Jabbar and Bill Russell. And Jordan’s era had more media, including more airtime on a new thing called cable TV. Much of that space began to fill with the proposition that Jordan was the greatest basketball player of all time. The concept spread beyond sports. In 2000, LL Cool J released his eighth album, titled G.O.A.T. (Greatest Of All Time) — a new enough concept in hip-hop that he had to spell out the acronym. LL had enough hits at that point to make a credible claim to the crown, but both the title track and album as a whole were forgettable. In a sign of where the GOAT term was headed, LL never made another classic album. This is a plea for help, to save genuine GOATs from extinction. The new millennium also brought new communication mediums: the internet, Facebook, YouTube, Twitter, all of them forums for impassioned GOAT debates. Everyone online could broadcast an opinion on one of the most fun and timeless concepts in sports. And there was so much GOAT debate to be had, with stars such as Tiger Woods, James, Simone Biles and Usain Bolt seeking legit Greatest status. Then came the tipping point: emojis. A GOAT sneaker shop, with a “Greatest” section featuring the likes of a “multi-disciplinary artist” known for his “cereal bar” behind a men’s clothing store in Los Angeles, and Alexis Ohanian, who is not himself a GOAT but is married to Serena. The Greatest of All Time do impossible things. Let’s keep it that way.